Lisa (Boaz) Woodward joined Anheuser-Busch in November 2015 as their manager of sports sponsorship. In this role she is responsible for negotiating team sponsorships for the company’s vast portfolio of beer brands. Prior to joining Anheuser-Busch, Lisa spent eight years with the St. Louis Rams, most recently as their director of marketing and advertising where she was responsible for managing and overseeing the execution of Rams advertising, including the development of creative and the placement of ads throughout the St. Louis region. Previously, she served as the senior manager of marketing and advertising from 2013-2014, after carrying the title of marketing manager for three years. 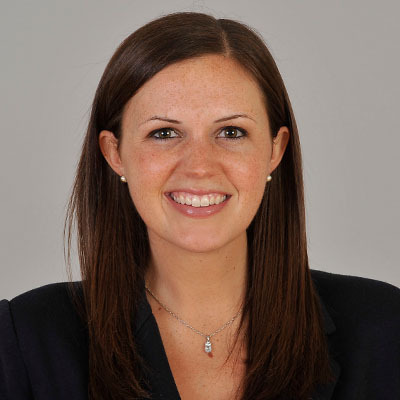 Woodward was hired in 2008 as a sponsorship services coordinator and originally started her career with the Rams as a business development intern prior to the 2007 season. Lisa was nominated to the inaugural Business of Diversity in Sports and Entertainment cohort at the National Sports Forum in 2013 and served on the Steering Committee for the BDSE from 2015-2017. This will be her fourth year on the Steering Committee at the National Sports Forum. Lisa has been active in Big Brothers Big Sisters of Eastern Missouri since 2009. She serves as the marketing and public relations chair on the Ronald McDonald House Charities Young Professionals Board and as the vice president of the Saint Louis University John Cook School of Business Alumni Board. Lisa graduated from the University of Illinois with a Bachelor of Science degree in business administration and a minor in Spanish. She graduated from Saint Louis University with a master’s degree in business administration. Born in Peoria, Illinois, Lisa lives in St. Louis with her husband, Rob and their son, Bo.